(Nanowerk News) The most important new pieces of equipment of the Center include Finland’s first next-generation transmission electron microscopes (TEM). One of them is a high-resolution TEM for hard materials, and the other a liquid-helium cryo-TEM intended for soft/biomaterials. These microscopes take the imaging and manipulation of nanostructures and biological samples to an entirely new level: the transmission electron microscopes allow materials to be characterized and manipulated even at the atomic level. 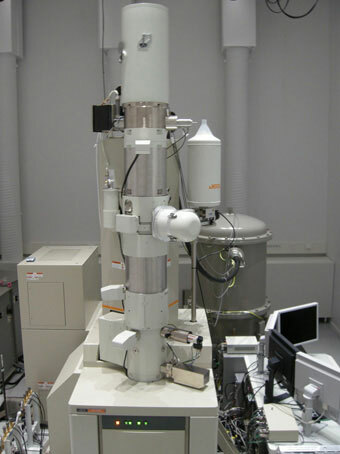 The nanomicroscopy equipment cannot be used in traditional laboratories because the level of external disturbances must be notably lower than usually. The new building is designed to minimize all external disturbances such as electromagnetic fields, mechanical and acoustic vibration and any disturbances caused by changes in temperature. The premises and equipment will be at the disposal of various universities, research institutes and companies. Approximately 4 million euros have been invested in building the Center, while an additional 7 million euros has been invested in its equipment. The Nanomicroscopy Center was officially inaugurated on Thursday, 14 January 2010.